Shopping is the favorite activity of most of the people. But, when it comes to grocery shopping, it becomes a tedious job. In offline grocery shopping, people need to visit the supermarket, pick the products, stand in a long queue for payment, and ultimately bring the products to home. It is too tiring! To enable shoppers with the next level of comfort, the concept of the on-demand grocery delivery app came into existence. Online grocery sales is expected to grab 20% of the market by 2025, stated by CNBC. 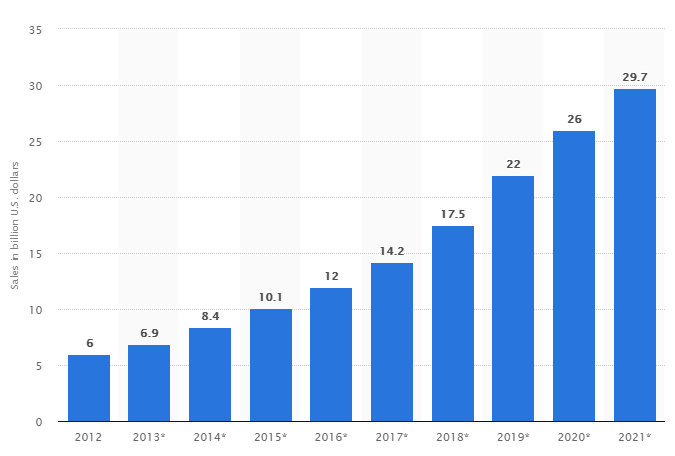 On-demand grocery delivery mobile app market is highly competitive, as a lot of applications are available in the market. In this post, we are going to have insights about the different types of grocery apps, on-demand grocery application workflow, a variety of features (users, admin, & delivery app), and cost estimation. E-commerce grocery app allows users to browse a wide variety of items irrespective of their locations. Buyers can schedule the timing for delivery as per their comfort. E-commerce grocery shopping apps are being used by online retailers across Amazon, Flipkart, etc. There are a lot of retailers, who are specifically dedicated to offering grocery products. They choose to develop a personalized mobile app to take the customer experience to a whole new level. These apps allow buyers to create grocery lists, share them with the store, and set items for shopping. Best example of independent grocery apps are BigBasket and Grofers. Supermarkets like Publix and Costco have started using mobile apps to sell their grocery items. These type of apps combines the functionality of e-commerce and independent grocery app. They engage customers using beacon technology and push notifications while the customer is nearby to the store. Such a grocery delivery app contains a list of the stores available in a particular region. Buyers can select the nearby store, browse the menu, select the grocery items, and place the order with the required quantity. Once the buyer confirms the order, he/she can track the order and delivery status in real-time. The giant grocery chains such as Walmart have their own on-demand mobile app to enable buyers with a great level of comfort. These apps are similar to the individual store that manages micro-level operations seamlessly. The most significant part of an application where users need to login via their email id or contact number. These days, users prefer to have an option of login through social media accounts such as Facebook. 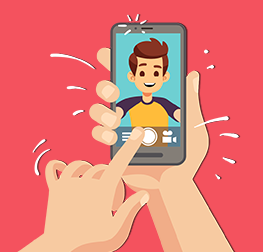 After login into the app, users need to create their profile by adding the required personal information such as name, residential address, age, etc. They can edit the details whenever required. Accessing users’ personal data, grocery business owners can send them the most relevant push notifications. It allows users to select a preferred product from all the categories of grocery items that are listed in the app with description. Shoppers can choose their preferred products by applying different filters, sorting, and search criteria. Enable customers with an option of Add to Cart. Allow them to add the items of their choice and buy it later. Customers can check and manage the products they intended to buy before making the payment. Using this feature, users can ensure that nothing has been left behind or added extra into the list. All the payment options should be integrated into the app such as Debit Card, Credit, Card, Online Payment, Net Banking, Cash on Delivery, etc. Buyers should have the flexibility to make a payment in a convenient and reliable way. Allow users to pay online by integrating secured Payment Gateway in your on-demand grocery delivery app. There are distinctive payment gateways available in the market such as PayPal, Apple Pay, Stripe, Braintree, and more. Enable customers to make payment in a hassle-free manner. The feature permits customers to schedule a specific time duration for receiving the orders or deliveries as per their convenience. With the help of Google Positioning System (GPS), grocery businesses can allow shoppers to track the real-time status of their placed orders and driver’s location. Integrating Google Map feature, you can increase the trustworthiness of your business in many folds. Leverage this feature for placing the order in a very convenient way. Buyers can access the order history anytime and place the same order whenever required. Create a discounts and offers zone for buyers where customers can view the latest deals. Also, provide appropriate rewards to loyal purchasers to engage them for the long term. Keep the users updated about your latest products or service offerings, discounts/offers/rewards, and new app features by sending Push Notifications to the users. Customers reviews and ratings help flourish your app better. 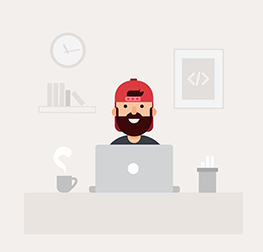 Collect users experiences about your app, it helps you improve your mobile app, provide better services, and plan stronger strategies for further growth. Provide 24*7 customer support by choosing the right communication product. You can consider phone, email, and online chat options to respond to customer queries and concerns. An intuitive dashboard allows the admin to track all orders received from the customers, manage various business activities, and provide services on the go and swiftly. After receiving a confirmation about an order, the store manager can assign the order to the respective delivery person to deliver the grocery products at the mentioned date, time and place. Manage huge stock of inventory using this feature. Track the real-time status of product inventory and manage all the orders efficiently. Admin can get better insights about whether the product is in-stock or out of stock. If the product is not available, business owners can take the required decisions. Admin has the right to add products in bulk from the app backend. As per the availability of the items, the admin user can enable or disable the product. Also, the app allows to remove any team whenever required. Admin can view and communicate with all users of the application. Moreover, the business owner has the right to add or remove any users from the admin panel. The feature allows admin to manage and view all the transactions occurred in the applications. Also, admin can manage tax and commission related data in the grocery app. Real-time analytics tracks loyal customers and extracts the important data that help businesses to define a strategy and plan on how to boost the user experience. Admin can see the most successful discounts and offers that customers have highly consumed by the buyers and accelerate their business growth. Once buyer confirms the order, vendor will receive the request for grocery deliveries along with the order number and required details such as delivery address, contact number, etc. 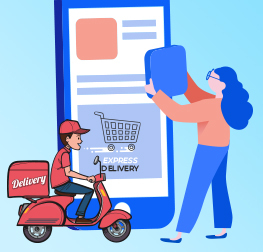 The delivery person can accept or reject the request if the location of buyer is too far and it does not fall within the specified distance of free delivery. Integrating Geo-Location services, the vendor can assist delivery person to track the buyers’ location easily. There is a varied option available for location tracking such as GPS, Apple Map, Google Map, etc. Vendor can integrate any one of these to leverage this feature. The delivery person can communicate with buyers through voice call or chat using the grocery app only. Store manager receives a notification about the delivered order along with order number. How much Does It Cost to Develop An On-demand Grocery Delivery App? 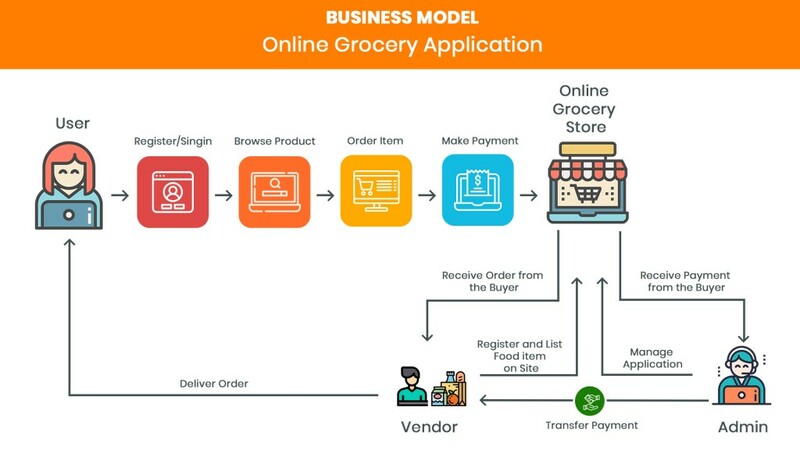 The cost of on-demand grocery delivery app development depends on varied aspects such as business model, type of app (simple, complex & large scale), number of features and functionality, pricing model, platforms, the development team, and more. To get an exact estimation of your on-demand grocery delivery app, you should opt for an experienced mobile app development company. 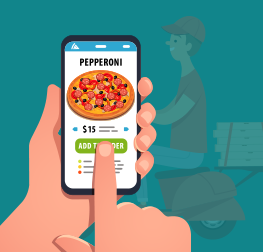 If you are planning to create an on-demand grocery delivery app, this post will help define the essential features that you have considered. Credencys has a detailed insights about developing on-demand mobile applications for varied industries and different purposes. Stay ahead in the cut-throat competition by leveraging our more than a decade long experience. 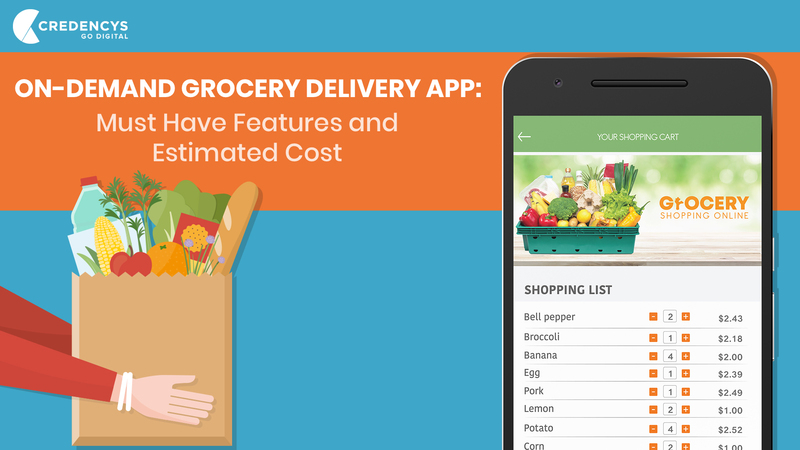 Let’s work together to bring your app idea to life by developing a robust grocery delivery app.